There’s no more competitive and exciting touring car series anywhere in the world than the Supercars Championship. 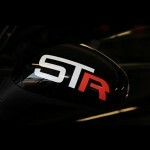 TheSupercarsCollective.com showcases the sport to a new audience in the Northern Hemisphere. 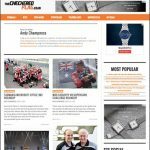 Between 2010 and 2013, I wrote for online motorsport magazine, TheCheckeredFlag.co.uk, reporting on the Australian V8 Supercars Championship. 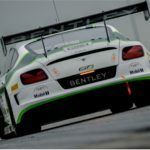 Between 2010 and 2012, I provided a complete press office service for British and World Touring Car Championship team, Special Tuning Racing and worked with title sponsor, ClubSEAT to increase its media coverage. 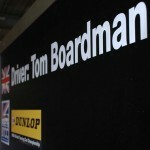 Between 2010 and 2012, I worked with World and British Touring Car Championship driver, Tom Boardman, to raise his profile and visibility beyond the race track. 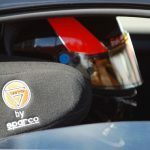 In 2010, I generated media exposure and publicity both in the UK and Spain for highly-talented Spanish driver, Maverick Domene, who at the time was racing in the Ginetta Junior series. Wherever you need me to be! If you like what you see here and want to work with Andy Get in touch. If you just want to say hi that's okay too! Motor on over and say hi!